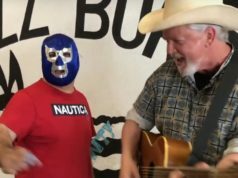 A reward is being offered for a sculpture by Fort Worth artist Devon Nowlin that was stolen on Saturday, March 28 during Artspace 111’s Spring Gallery Night show. 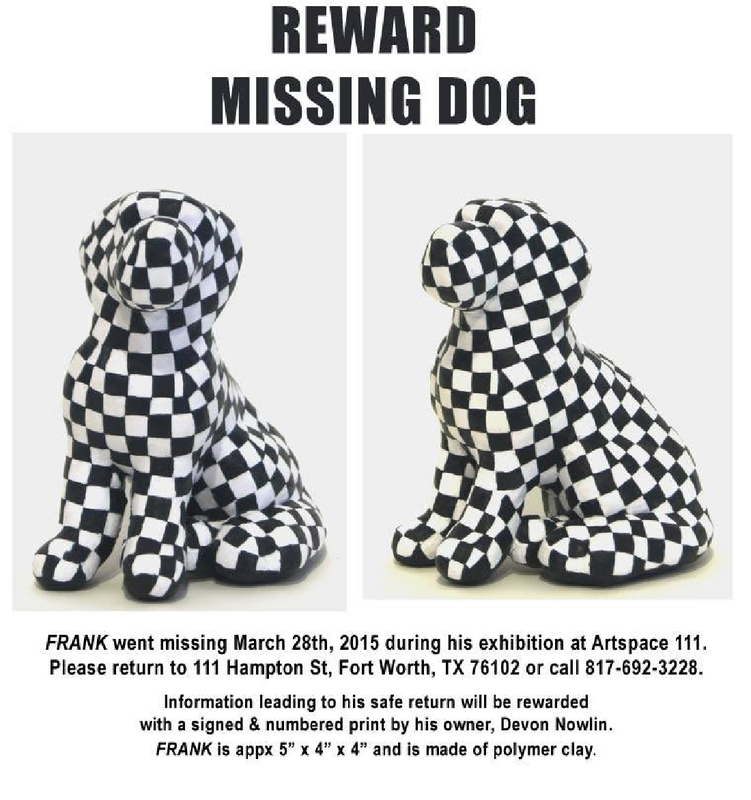 The black and white checkered polymer clay dog named FRANK was lifted as the show was closing and the crowd was leaving the downtown gallery en masse. Nowlin said the art wasn’t even for sale, and she intended to make paintings and silk screen printings of the little clay pup for her upcoming solo show at the space on May 15. The reward for FRANK’s return: A signed and numbered print by Nowlin. Anyone who has information can contact Nowlin through her Facebook page or call the gallery.